I’ve seen this doing the rounds on Tumblr, and thought I’d do my own version here. The idea is that we look at the 10 Books that have stayed with us. In my case, I thought I’d especially look at the 10 books which have stayed with me and made me ‘Laura the writer’. It was rather hard! I started reading my dad’s SF and fantasy when I was about 7. Terry Pratchett and Terry Brooks were early favourites, but it’s Hitchhiker’s Guide which has really stayed with me forever from that period. I love the humour and writing style. I read this when it first came out – still have my old copy – and it was my favourite of all the Dahl books. I could relate to Matilda in her reading habits, being one of those kids who reads all the children’s library books and has to be given an adult card as well. I loved Dahl’s wicked humour. 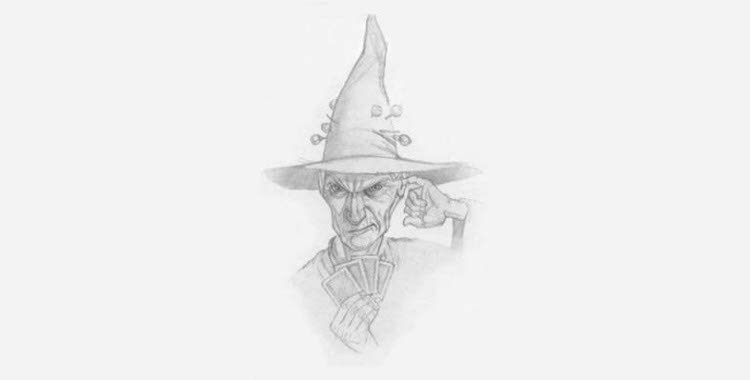 Fair to say that if I don’t grow up to be Granny Weatherwax I’m going to be a little disappointed. I’d read other Pratchett before, when I was younger, but it was this that really made an impression on me. I loved his intelligence and humour, as well as the story world and characters. This also cemented Granny Weatherwax (image top) and Nanny Ogg as two of my favourite fictional characters. I think this may have been my first truly epic read of a woman’s fantasy world, and it hooked me in. Just such a rich novel with complex characters. Absolutely my favourite mystery novel ever, I think this is a gem. Wonderful characters and another rich story world. Hard to choose from Austen or the Bronte sisters here, but I wanted to put in a classic to represent a few of them. Jane Eyre wins because of the passion, intelligence and independence of Jane. This was the book that made me think that actually, I COULD be a writer if I wanted to. Funny and insightful, a good read for anyone considering screenwriting. Atwood is one of my long time favourite authors, and this is my pick of her works. Loved the characters and structure of this – it’s always a pleasure to read a book which does something a little different. This not only represents one of my favourite children’s books ever, but also my love of reading YA and Children’s books as an adult. It cemented in me my desire to write for younger readers, and shows that you can write them something clever and grand with deep themes. Angela Carter. Enough said. This book is beautiful, sensual, intelligent and subversive, and represents everything I love about her work. It gave me confidence to explore my own love of fairy tales, myths and magical realism. What are the 10 books that have stayed with you, or made you who you are?